I’m often surprised when people ask me to ‘do’ social media for them as if it stands apart from any other marketing, on line or off. Perhaps there was a time when this was true – but I doubt it. A business needs to know what it’s spending its promotional dollars on, whether for advertising, training or events. The finance department will require receipts and, when needing to make budget cuts will want to know what it can safely force the company to do without. The marketing department will try and argue that all of its budget is vital but without concrete proof is very unlikely to win the argument. Yet without marketing of some description, any business will fail. Before someone becomes a customer they must know you’re there. Naturally if you offer a good product or service you will get some new customers from referrals but unless you actively work at getting those referrals and nurturing the customers you already have, referrals won’t bring in enough new blood to keep a company viable. Nurturing those customers is where social media can shine, you can give those customers a platform from which to spread the word. But without integration with the rest of the marketing efforts it’ll be a very hit and miss affair. What drives people to share their experiences with a company? Emotion, good or bad, when people get emotional they talk, the more emotional they get the more they talk. This is why paying attention to what people are saying about you online is so incredibly important. Think about what happens when you get frustrated with someone who then ignores you. How do you feel? The sad news is that too many companies, large and small forget that when dealing with problems and complaints. Will some of those problems be due to the customer getting things wrong? Of course they will. Will some of the complaints be ‘nuisance’ ones designed to get something for nothing? Naturally they will but, and here’s the kicker, it just doesn’t matter why they complain, you have to deal with it. Ignoring a complaint will only allow it to take hold and grow, until what was once something you could easily ignore turns into something that can bring a company to its knees. Now you may wonder why I’m not yet talking about social media and integrating it into your marketing. The answer is because everything I’m talking about is relevant to both social media and marketing. They cannot be separated. Take Yelp, probably the most powerful review site in the US, even more so that Google + Local. It’s true that you need Google reviews to boost your rank but people who use Yelp go there first, not Google. Every second someone calls a business listed in Yelp, every second. Yelp is a review site BUT it’s also a social site, a site where people can connect and share, not only with other Yelpers but with their Facebook friends too. They can show how popular a business is by ‘checking in’ at the location, leave a tip, take a photo, record a video, tag others they’re with as well as leave a review. Think about that, this is a review site, therefore important for reputation management. You can advertise on it, so it’s a promotional platform. You can create ‘offers’ that people will see when they’re close to your location, so it’s a marketing platform. Just one site, has all the components of an integrated marketing campaign. You couldn’t ‘do’ the social side without also impacting the marketing and promotion. If the social side doesn’t know about the adverts and offers that are going on this site, social can’t talk about it, enhance it, increase reach or reinforce the message. Facebook is one platform that many people think can stand alone, just post stuff and that’s it. Not any longer, Facebook too has all the components of an integrated marketing strategy. It also has competitions, polls, sweepstakes, conversations, check-ins, reviews and questions asked about individual businesses. It has groups and apps, games and above all, a billion users, over half of which are regular users of the site, logging on daily or at least weekly. People log on to Facebook to socialize, catch up with friends and family, favourite celebrities, music, film and too many other reasons to count. You can reach all those people or, you can target them by interest, area, age, sexual orientation, job and education. Something that is difficult with most other platforms. How can you make effective use of this platform if you have someone ‘doing’ social media separate from the rest of your marketing? I could go on, for a very long time, I won’t because I’m sure you’re beginning to see how everything is connected. It will only get more so. Google has just released a new Penguin update, they’ve released other updates to the Penguin but this is such a major version that Google are calling it Penguin 2.0. Penguin targets links that are ‘manipulated’ so those that are bought or generated artificially. It’s also interesting that the word ‘thin’ is mentioned in a lot of blog posts. Thin sites, thin links, thin content, somehow being ‘thin’ on the web is not a good thing. What if you’re in an industry where it’s difficult to create interesting informative content? That’s where content curation comes in. Google wants you to provide good content, content that is valuable, one of the ways they judge value is how much engagement your content gets. Which brings us back to social media, even your web content needs social media integration to get social signals that tell Google and other SE’s that your content, curated or not is valuable and deserves good rank. Social media entwines itself throughout your marketing and is the way you provide social signals and proof to search engines and prospective customers. 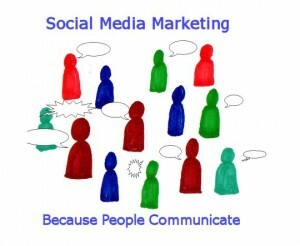 Social signals tell the search engines that your content is valuable. Social proof is how you show prospective customers that they can trust you and will be safe doing business with you.